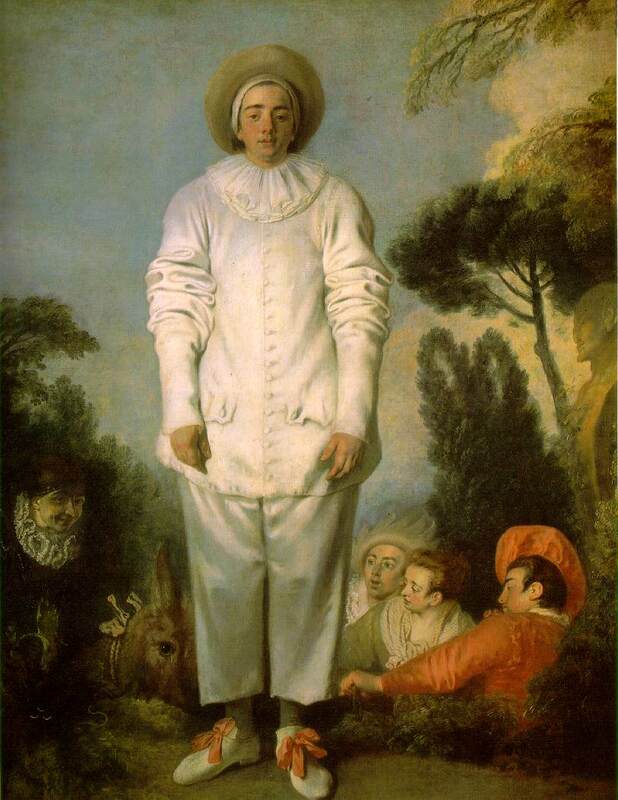 Watteau, Antoine (1684-1721). A French rococo artist whose charming and graceful paintings show his interest in theater and ballet, Antoine Watteau is probably best known for his fetes galantes. These romantic and idealized scenes depict elaborately costumed ladies and gentlemen at play in fanciful outdoor settings. In 1708 Watteau began working with Claude Audran, who had the care of the treasures at the Luxembourg Palace. This collection included a group of scenes from the life of Marie de' Medici painted in the early 1600s by the Flemish master Peter Paul Rubens. Rubens's influence can also be seen in Watteau's work. In 1709-10 Watteau returned to Valenciennes, where he executed a series of military scenes. In the years 1710-12 he painted the first of three versions of the myth of Cythera, the island of love for which pilgrims embark but never arrive. The paintings represented impossible dreams, the revenge of madness on reason and of freedom on moral rules.